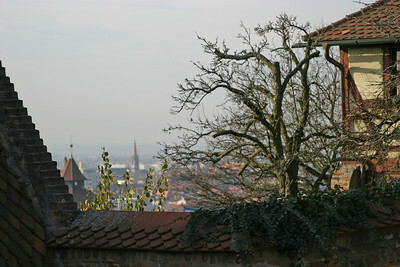 We had a few hours in Nürnberg, and made sure to walk up the hill to the Nürberger Burg, the old castle overlooking the city, with its ancient towers and great views. 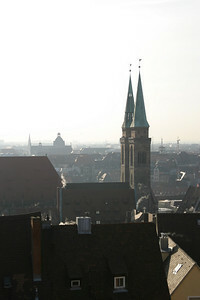 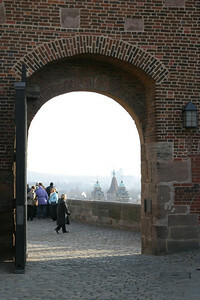 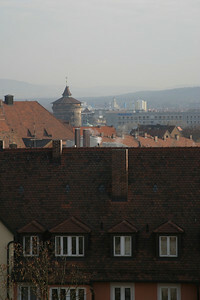 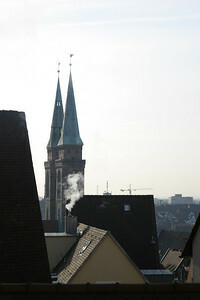 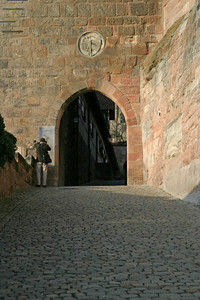 View from the Nürnberger Burg. 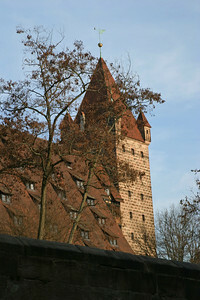 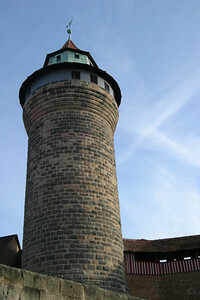 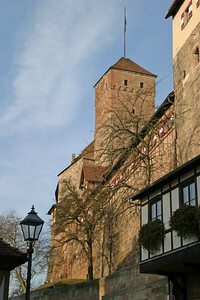 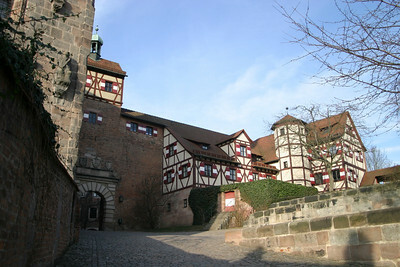 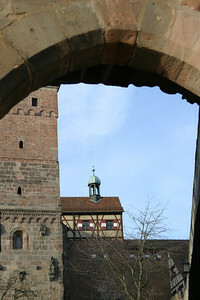 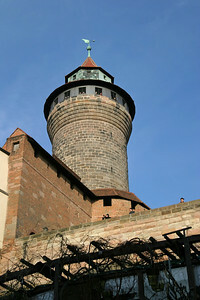 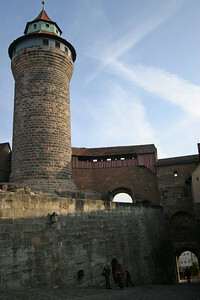 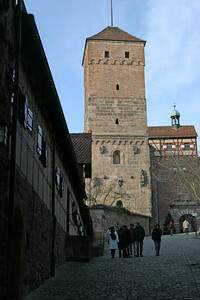 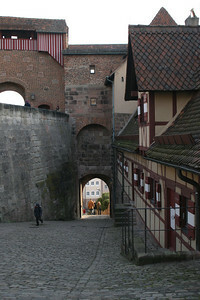 The round tower is one of the towers of the medieval city wall.